Let us know. 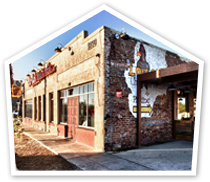 We’re looking to bring Lo-Lo’s to every city that enjoys home-cooked soul food. If you’re really interested, think about opening your own franchise. With the Phoenix location’s gross sales of $3,677,096* in 2013, the opportunity is prime. Learn more about franchising. *For further information relative to our sales numbers, please review the additional information in Item 19 of our Franchise Disclosure Document. Own your Own lo-lo's Find out what makes our franchise opportunity as enticing as our food. © 2019 Lo Lo's Inc.. All Rights Reserved.